The Zeholla Family Welcomes a New Granddaughter! Tammy Zeholla, NOVA Kennesaw, was recently blessed with another beautiful grandchild. This precious little Halloween baby arrived on October 31 at 12:43am, weighing 6lbs 15oz, measuring 20.5 inches long. 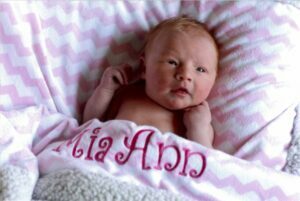 Welcome baby Mia Ann!